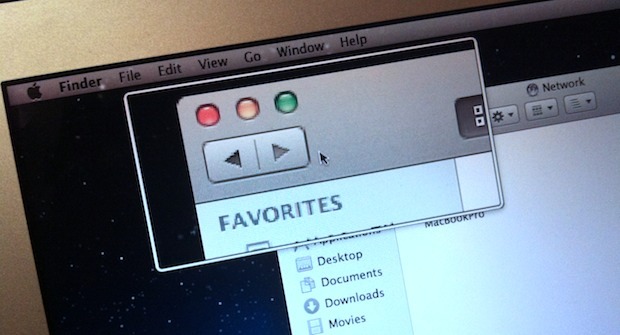 Another option when enabling zoom in OS X Lion and other newer Mac OS X versions is to use a smaller floating zoom window, rather than zooming into the entire screen. This allows you to zoom into screen elements using a small zoom window that hovers over screen elements, kind of like a virtual magnifying glass. 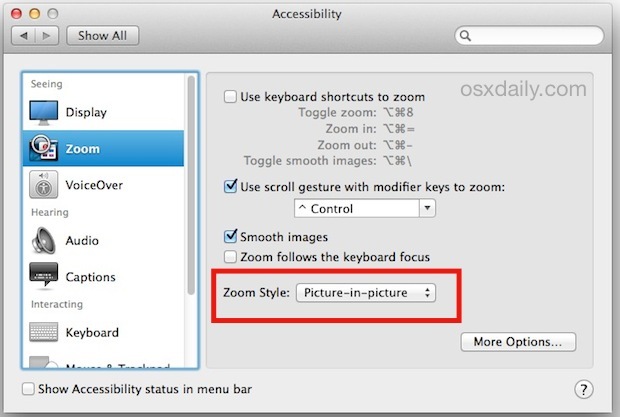 This is an accessibility feature but it’s useful for many Mac users. Additionally, some users may prefer this to the full-screen enlargement offered in the broader zoom trick, we’ll show you how to enable this feature in MacOS and Mac OS X. This little zoom box appears on screen in a little rectangular floating window that zooms in on whatever elements it’s hovered over. The default zoom shortcut is Control+Scrolling, but this and other aspects can be adjusted by clicking on the “Options” button under the Zoom section of the Universal Access panel. Think of it like a virtual magnifying glass, similar to what is in the Preview.app but for everything shown on screen. « Why Aren’t Apple Products Made in America?